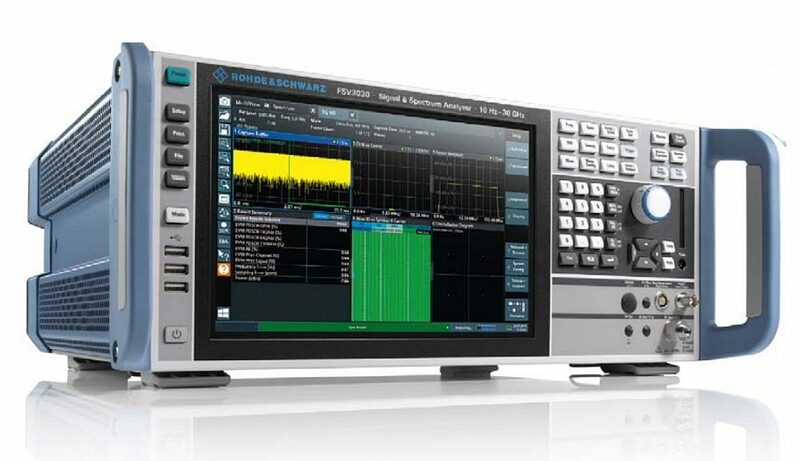 Rohde&Schwarz is renewing its mid-range spectrum analyzer platform with the introduction of the FSV3000 and FSVA3000 models, which replace the existing FSV and FSVA ranges. These new families of spectrum analyzers are available in several models covering frequency bands from 10 Hz to 4 GHz, 7.5 GHz, 13.6 GHz, 30 GHz, and 44 GHz, where the maximum frequency of previous generation models stopped at 40 GHz. In addition to increased measurement characteristics, these new instruments can run more embedded software applications than their predecessors. The performance of these new models falls between that of the FPL1000 series spectrum analyzers and the high-end FSW family. All these instruments share the same multitouch touch user interface. The FSV3000 and FSVA3000 spectrum analyzers offer a 28 MHz modulation band as standard, which reaches 200MHz and 400 MHz respectively in option. The analysis band offered by the FSVA3000 is therefore twice as large as its predecessor, the FSVA, which had a ceiling of 160 MHz. The FSV3000 and FSVA3000 spectrum analyzers have a sensitivity of 151dBm/Hz and 152dBm/Hz at 1GHz respectively and a third order interception rate at 1GHz of +15 dBm and +18 dBm. It is in terms of phase noise that the specifications of the FSVA3000 range differ from the FSV3000 range. This is less than -122 dBc (@1 GHz, 10 kHz offset) for the FSVA3000 against -107 dBc for the FSV3000. This is a significant improvement compared to the -115 dBc of previous generation FSVA analysers. “Thus, with their maximum frequency band of 44 GHz and analysis bandwidth of up to 400 MHz, FSVA3000 analyzers are ideal for testing applications in 5G telecommunications equipment that are expected to reach the market soon. 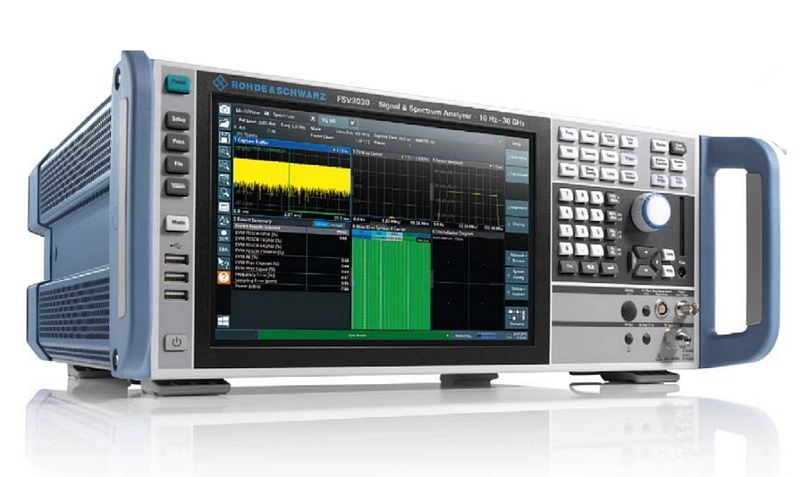 At that time, these applications were only available for the high performance models of the FSW series,” observes Frédéric Molina of Rohde & Schwarz. The FSV3000 and FSVA3000 spectrum analyzers, with a 10.1-inch touch screen, are integrated into a 19-inch housing (417 mm D x 462 mm W x 197 mm H) for easy rack installation. In addition to the 3D histogram display mode, to facilitate the development of test programs, the user’s manual commands on the instrument are directly translated into SCPI commands and can be exported to SCPI format or into the syntax of programming languages such as C++, Python or Matlab. When these spectrum analyzers are used with the German manufacturer’s VSG generators, both instruments can be controlled from a single interface and the SCPI commands of the automatic test application are recorded simultaneously. 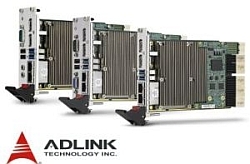 The transmission capabilities of the FSV3000 and FSVA3000 analyzers have been optimized for data processing in remote Cloud platforms with their internal PCIe 3.0 bus for measurement data transfer (FSV3-B114 option), optional 10 Gbit/s LAN interface, and data capture/pipeline data transmission capability for IQ data transmission to the client.